Jesus had a way of using everyday, common examples to deliver profound, spiritual truths. To the casual observer, he was making an observation about gardening and planting, but to those who would care to look closer, he was revealing the secret to a mystery that was born in Heaven. It was the secret to Life. Anyone who knows me well could find it humorous that I’m about to speak to you on the subject of planting, because I’m quick to admit that I’m not the Green Thumb of our family. I don’t enjoy getting dirty, or digging around in soil, and I’m not particularly knowledgeable about the different needs of various plant life. Just recently, my husband bought me these wonderful, hanging flower baskets for my front porch. They were already in full bloom… and beautiful! But…within a week, I had successfully grown them down into a bucket of dying sticks because I had over-watered and over-miracle-gro’d them. I think! I then tried to save them by ignoring them, and they just got more pitiful. Although, I will say for myself that last year, I had some beautiful hanging flower baskets all season… and managed to keep them alive somehow… probably a miracle. But, needless to say, I’m not the first person you would look to for advice on planting a gorgeous, thriving garden… However, God has given me a wonderful understanding of what it means to be truly planted, and to bring forth new life. Over the last several months, my husband and I have had the privilege to start a Burmese house church. Sister Kim, the wife of our main Burmese family, is amazing with a garden! She has made her back yard a garden, her front yard a garden, her side yard a garden, and she’s even offered to use other people’s yards to start gardens in. She just loves to garden… and everything she plants will grow. As I thought about how zealous she is for her craft, I realized there is much to be learned from such an attitude about gardening. When Jesus spoke those words about the seed falling into the ground, He spoke with an attitude of the highest purpose. He was describing events that would take place in His own life just hours from then. He knew that humanity’s freedom from sin, and the abundant life they were desperate for, could only come to pass if he offered Himself as the sacrifice… The seed that had to die. With His death on the cross, He not only gave life to men, but also gave at least four truths that we can follow to see things grow abundantly in our lives. The plan is all about what you intend to do. It’s your vision. Most people don’t just throw the seed around, and hope that wherever it lands, something will grow up and look pretty. It’s something you must be wise and prayerful about. I remember, it was here at the campgrounds, and I watched as some friends of ours were being commissioned to start a church. I thought, “Wow… what a sacrifice! How does someone get to the place where they will pick up and leave their comfort, move to a city, and start from scratch?” I wondered how it felt to have that type of passion and determination. They didn’t just throw themselves out into the field, but they prayed for a vision from God about where, when and how to plant. Have you ever driven by that house with the vast, flourishing garden? There seems to be all types of flowers that bloom at all different seasons. Someone has put a lot of effort into how the garden looks. They might have even designed the layout of where each type of plant would grow… in such a way that there will never be a season without fresh blossoms in every area. They had a plan. In life, there will always be seasons… always be new spiritual levels to move to… always be a need to grow again. For years I had been working in the ministry along side my husband… We served as youth leader, then youth pastor, assistant pastor to my father in Mt. Morris. I had experienced the planting in various areas of my life, but God began to give me new vision for another season of growth. Through prayer, God began to reveal the plan. God may be calling you to plant into a relationship, into your church family, your community, or even into your personal ministry. Whatever it is, The Plan will always become clear through prayer. Every harvest begins with a purchase. After all, you can’t grow a garden without a field! Jesus said in Matthew 13, “The kingdom of heaven is like treasure hidden in a field. When a man found it, he hid it again and then, in his joy, went and sold all he had and bought that field.” The field is the womb where life begins. In November of 2000, the Michigan District Fall Conference was held in Buchanan, and God was dealing with my husband and I on going to another level. He began to place a burden in us for every city without a church that we passed through. Something had changed in me. I had come to a place where I had let go completely of self and offered everything… everything I was to God for Him to use as He desired. Our desire for the treasure began to reveal the field that God wanted us to purchase, and within months, we were on our way to start a church in Kentwood. We need to be careful that we stay where we are planted until, if ever, God uproots us and takes us to another field. Take the Palm Tree for example, there are some species of Palm that can live in colder climates, but still cannot survive below 5 degrees. It wasn’t created to be in a climate like Michigan’s, because it requires warmer environments. Just like the palm tree, we need to be planted where God determines for us… I believe that some people move outside of God’s will for their lives, or do not move into His will, and then they wonder why they can’t handle the situations that come their way. They’re in the wrong field! Wherever God is calling you to be planted, you must purchase the field. You must be willing to lay everything on the line and be determined to go whatever the cost. It may involve quitting a job, leaving a relationship, tearing down a fence, giving a larger offering, stepping over a line or stepping up a ladder. Whatever the plan, you absolutely must purchase the field. A seed is useless without good soil, and as Jesus described in the parable of the sower, not all ground is ready to receive the seed. Good ground requires breaking up the dirt, digging out the stones, possibly adding fertilizer or topsoil to condition it. Through the mouth of the prophet Jeremiah, God said, “This is what the LORD says to the people of Judah and to Jerusalem: “Break up your unplowed ground and do not sow among thorns.” (Jeremiah 4:3) God wasn’t speaking of the physical field, but the spiritual. Preparing the soil is as much about changing us as it is our environment. It’s about removing any obstacle that can deter our mission or destroy the seed. After we had planned to follow God and we purchased the field, Jay and I began to tear down obstacles. We put our house up for sale, began applying for jobs, transitioning our responsibilities to leaders we had trained, and eliminating any excuse not to go. In order for our planting to be effective, the dry ground had to be plowed. We drove around the city limits of Kentwood and interceded over the souls. It was the plowing of prayer that pulled the fresh soil to the surface. Through our plowing, He was preparing our field and conditioning our hearts. When the farmer works the soil with his labor, time and sweat, he builds an intimate relationship with the field. Through prayer, let God reveal to you what needs to be gained or lost in order to have a successful harvest. Do stones of unforgiveness need to be removed? Shame, fear or doubt? Do you need to acquire new skills, or get specific training? Is there a procedure to be followed, or connections to be made? Have you prayed over your field. Because a seed needs good soil to thrive, it’s imperative that you prepare the field. After all the planning, purchasing and preparing… perhaps the hardest and most important part of all is the planting. It’s most important because, without it, there can be no increase. It’s the most difficult because it involves sacrifice. Separation. Trust. Death. Waiting. All the things that go against our very nature. Planting is not the petals. It’s not the fruit. It’s not the harvest. It’s the dying. It’s the seed falling into the ground. It’s counting the cost, and finding it worth dying for. It’s the anticipation of what will come if we truly lay our lives down for the cause. 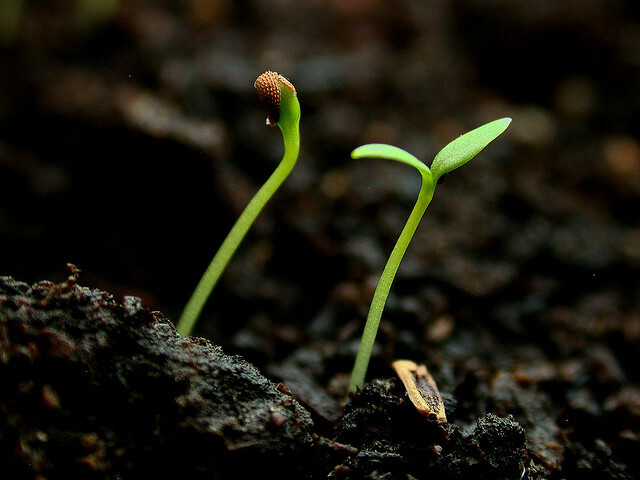 When studying about planting, I learned that a seed is potential for growth. It has an outer shell whose purpose is to carry and protect the potential that lays within it… the embryo. When planted… the outer shell’s purpose is finished, and it must die away so that what is inside can bring forth life. That process of removing the outer shell is called “scarification”, and is usually pretty brutal. For some seeds, it takes fire… for some, banging against hard rocks as it travels along a stream… for some, it takes the acid or bacteria in only certain types of soil. Whatever it is, it’s never pretty. It is, after all, death. You may be going through a difficulty in your life right now because of a choice you’ve made to follow God. Maybe rejection from family, trials, persecution, misunderstanding, even physical or financial distress. You may feel the discomfort of stretching yourself into new routines or ministries. But when you feel the abrasive surface grinding away at the outer shell, remember that the future harvest is worth the present price. We control the destiny of the seed. We can protect it from dying, but in doing so we guarantee it will always be alone. But if it dies… If it is planted… how beautiful the fruit it bears.